Photochromic lenses are lenses that are adaptive towards their environment. 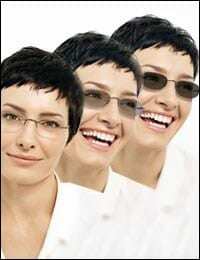 Popularized by Transitions in the 1990s, these lenses are usually referred to as transition lenses. The correct term for these glasses is photochromic, which refers to a specific chemical reaction the lenses have towards ultraviolet (UV) radiation. Some termed them self-tinting lenses, while some called them photogray lenses. With regards to these terminologies, they darken upon direct exposure to sunlight and the chief activator being the existence of UV. Once the light source is removed, like walking into indoors, the lenses will gradually adapt and thus returning to their clear state. Imagine that you have a piece of dry cloth, soak it into a pail of tap water. What you will get is – a wet cloth! It absorbs water rapidly, in just a few seconds. Now, try to dry the wet cloth. Irrespective of whichever methods you used, the cloth just couldn’t dry immediately. It takes time. This is the concept and physics that the existing wearer or potential buyers have to understand. 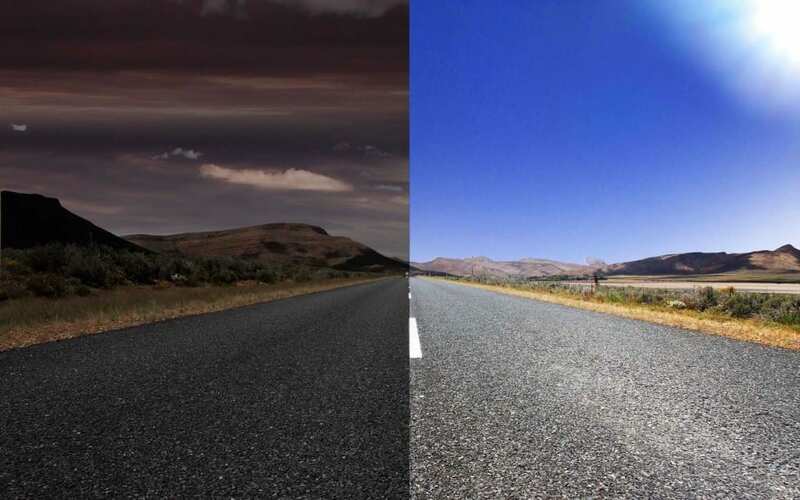 Relatively, photochromic lenses darken upon triggering by UV in less than a minute and then progressively darken very slightly over the next fifteen minutes. The lenses fade back to clear along a similar pattern. The lenses will begin to clear as soon as they are away from UV light, and will be noticeably lighter within two minutes and mostly clear within five minutes. 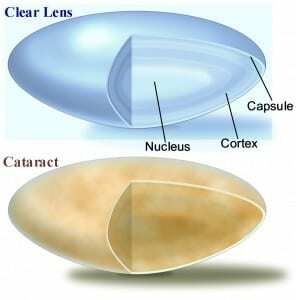 However, it normally takes more than fifteen minutes for the lenses to completely fade to their non-exposed state. 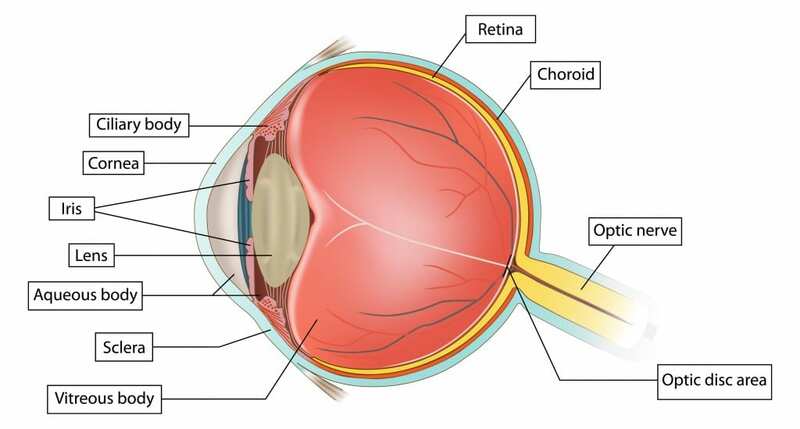 To explain this in a more scientific way, photochromic lenses have millions of molecules of substances such as silver chloride or silver halide embedded in them. The molecules are transparent to visible light in the absence of UV, which is normal for artificial lighting. But when exposed to UV rays, as in direct sunlight, the molecules undergo a chemical process that causes them to change shape. The new molecular structure absorbs portions of the visible light, causing the lenses to darken. The number of molecules that change shape varies with the intensity of the UV rays. A major selling point for photochromic lenses is that they protect your eyes from 100% of UV from the sunlight. 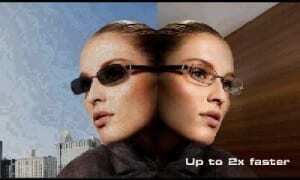 Besides, the darken state of the lenses will also help shielding the excessive glare. 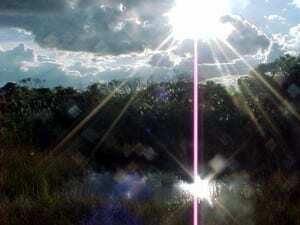 Glare comes in a form of strong, dazzling light that may cause discomfort to the eye. All in all, these features make photochromic lenses a great convenience package, because they offer an alternative and thus removing the need to carry a separate pair of sunglasses for protection against harmful U.V. rays from the sun. Having photochromic lenses also are boon for kids, who naturally will spend more time outdoors than most adults. Studies demonstrated that the risk for cataracts and other age-related eye problems is associated with a person's lifetime exposure to UV, so protecting your child's eyes early on is essential and could reap dividends when he or she is a matured adult. WHAT ARE THE HAZARDS OF ULTRAVIOLET RAYS (UV) TO OUR EYES? 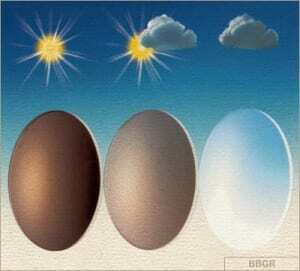 If too much UV is absorbed, eye structures such as the cornea, the lens and the retina can be damaged. High intensities of UV exposure may lead to cataracts, pterygium, and pinguecula formation. 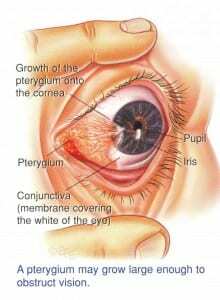 Pterygium is a raised, wedge-shaped, non-cancerous growth of the conjunctiva onto the cornea. Pterygium has a characteristic shape as it is triangular, with the base of the triangle located in the conjunctiva and the apex of the triangle encroaching onto the cornea. Pterygium can affect vision by warping the surface of the cornea and inducing astigmatism and by actually growing over in front of the pupil and obstructing the entering light. Pinguecula is a small yellowish elevation situated near the inner or outer margins of the cornea and occurring especially in people of advanced age. The symptoms of a pinguecula are similar to those of a pterygium with the exception that they do not affect a patient’s vision. DO PHOTOCHROMIC LENSES HAVE ANY DISADVANTAGE? The main disadvantage of photochromic lenses is they do not adjust immediately. 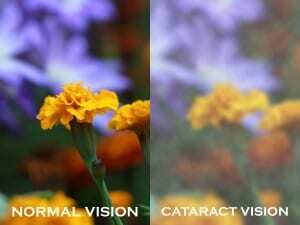 It could take up to five minutes for the lenses to adequately change from dark to clear. On the other hand, because they react to UV light and not to visible light, there are circumstances under which the darkening will not occur. A perfect example of this is in your car. Because the windshield blocks out virtually 100% of UV, photochromic lenses will not darken. Since they do not darken inside vehicles, they may not be adequate as driving glasses. Elsewhere, they become extremely dark when they get cold. 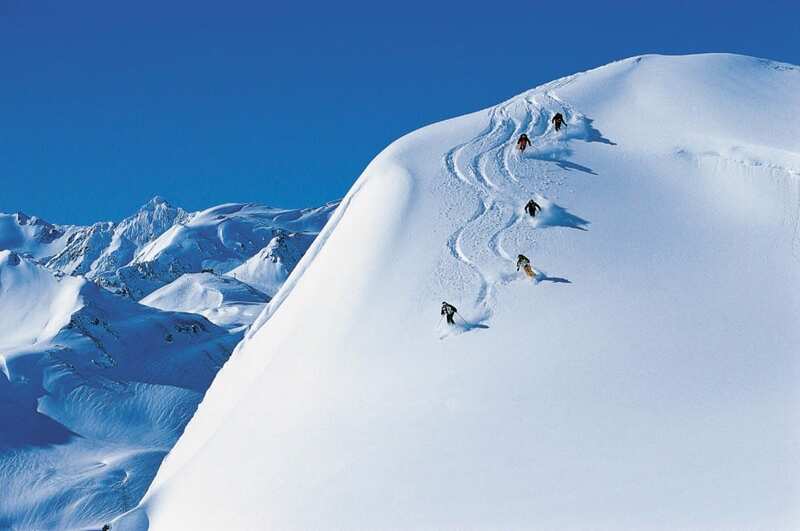 This is a big disadvantage for skiers, who need their glasses to lighten when light is dim and flat. INTRODUCING - PhotoFusion® by ZEISS. The eye-care innovation- Photofusion by Zeiss® reacts up to 20 % faster* than previous photochromic lenses by ZEISS. Carl Zeiss's has just released a new self-tinting lens that they say darkens in 15 - 30 seconds and is clear again in five to 10 minutes, eliminating the need for people to swap between sunglasses and eyeglasses when moving between outdoor and indoor environments. PhotoFusion® technology is based on patented photoactive molecules that unfold when exposed to UV light, thus darkening the lens and providing protection. According Carl Zeiss, these new lenses are very clear indoors (92 per cent transparency with antireflective coating) and very dark outdoors (9 per cent transparency in sunlight with antireflective coating). The lenses also provide 100 per cent protection against UV rays up to 400 nm and excellent colour consistency for natural vision. 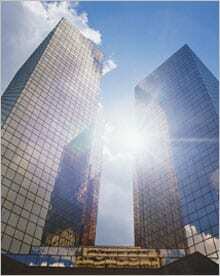 Importantly, the company claims, they retain their self-tinting ability for a long time. For futher information, please visit Malaya optical @Damansara Uptown and Subang SS15 to get a pair of photofusion lenses.